6Blocc goes straight heavyweight on this release which features an incredible list of international reggae vocalists over 6Blocc's big bass trap and footwork production guaranteed to knock the drinks off the table! California reggae soundsystem Capitol City Rockers and 6Blocc team up with Johnny Osbourne for a modern twist on the Budda Bye anthem which can only be called ragga trap on steroids. UK's veteran rap group Demon Boyz (featuring Million Dan) get the Blocc bassline treatment on RED ALERT which will leave you speechless when it drops hard. 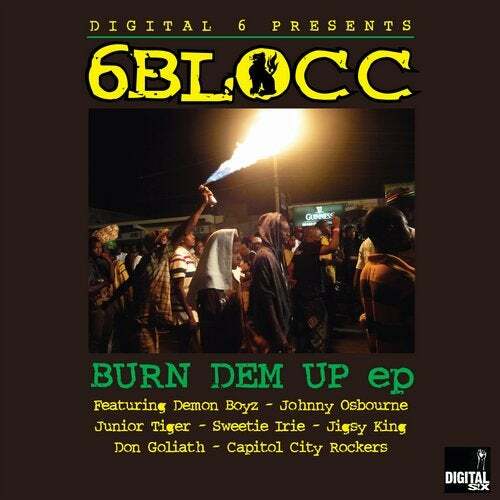 Then it's on to 6Blocc's refixes of Germany's Don Goliath collabs with Jamaican badbwoys Jr Tiger, Jigsy King and British reggae artist Sweetie Irie. This release is a fusion of ragga, trap, footwork, jungle, breaks and stupid bass that will make your grandma beg for mercy! !